Feeling inundated by those little cross-hatch figures or pound signs? No wonder. Hashtags are everywhere. It seems that anytime you see any kind of online communication – on Twitter, Facebook, Instagram, Snapchat, etc. – it’s loaded with those metadata tags. You even see them on TV commercials. 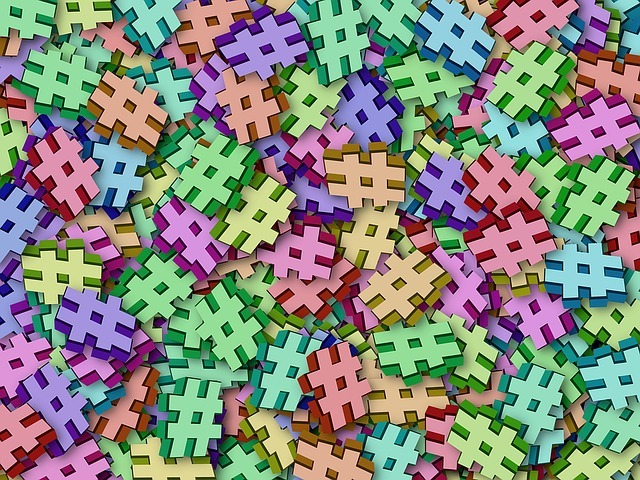 Turns out there’s a good reason, and those who use hashtags are pretty savvy . . . when they use them wisely. LinkedIn is one of the last of the big social media platforms to join the hashtag party, although they briefly toyed with them in 2013. As of September 2016, hashtags are back on LinkedIn, maybe for good. Potentially influence people to help you meet your career goals. In other words, hashtags used with keywords make them show up more easily in search. If you post a message using hashtags, people looking for information about those keywords will be more likely to find your messages, and become aware of you and your personal brand, or unique value proposition. Write commentary before publishing an article on LinkedIn. You’ll find the symbol on your keyboard above the number “3″. When I’m using hashtags on a phrase, I usually capitalize the first letter of each word, so it’s easier for humans to read. Search engines don’t care whether or not you capitalize. When you “share (or post) an update” or publish a post on LinkedIn’s Pulse platform, add hashtags to your commentary that tell people what your update or post is about. TIP: Many LinkedIn strategists advise putting hashtags at the bottom of your updates, so they don’t distract from the content or lead people away before they read the entire update. Search hash-tagged relevant words when you’re gathering competitive intelligence on your target industry, companies, and employees, or to identify people to connect with on LinkedIn . . . or when you want to keep up with trending topics. You’ll discover posts on LinkedIn containing that hashtag or topic. Additionally, you can create hashtags around conversations, events or campaigns, and then promote them by frequently using the hashtags within your LinkedIn communications. Do your network (and potential new members of your network) a favor, don’t overdo it by constantly blasting the same information with the same hashtags, or by using frivolous or brand-tarnishing hashtags like #IHateMyJob or #DontBuyProductsFrom[name of company]. Hashtags are not a license to be snarky, or to post unprofessional information. And refrain from adding hashtags too liberally. Use them meaningfully and mostly to differentiate the value you offer. What words and phrases should you hashtag? Those that are relevant to your areas of expertise and represent the value you offer your target employers. Typically, they are your hard skills. Go back to the research you’ve done on these employers, to identify the skill sets and qualifications that make you a good fit for them. Those words and phrases are likely the best ones to hashtag. If you’ve already filled in the “Skills & Endorsements” section of your LinkedIn profile with a robust list of your top skills (and you should do this), these are the ones you’ll want to hashtag. You’ll be viewed as social media-savvy and up to date with the new world of work and careers in the digital age. On Twitter, popular hashtags may become trending topics, making your messages even more likely to be seen. My advice – Make your social media messaging even more potent. Keep at hand your list of relevant keywords and phrases that support your personal brand . . . ready to pop into your posts and commentary on LinkedIn and other social media. It doesn’t take long to do, but can make a big difference. This article was first published for my Personal Branding Expert gig at Job-Hunt.org. Need help and advice to better leverage LinkedIn?